The preparations for electing a new Woman Member of Parliament for Rukungiri District have kicked off with the Electoral Commission urging voters to participate in updating the voters register. The EC on Thursday began display of the register done to enable voters in Rukungiri District to confirm their details. The by-election which is slated for May 31, comes after the High Court ordered for fresh polls, having nullified the incumbency of Winfred Matsiko. Ms Matsiko’s rival Betty Muzanira of the Forum for Democratic Change (FDC) challenged her victory, accusing the NRM stalwart of bribing voters and giving donations during campaigns. 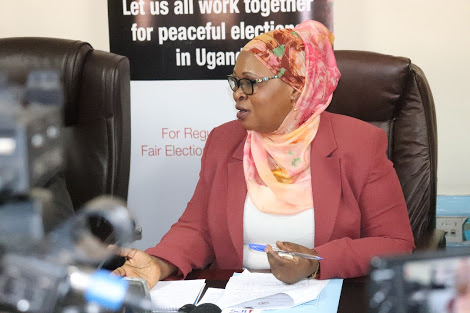 Updating the voter’s register according to the EC deputy chairperson Hajjat Aisha Lubega will run from April 16 to 20 at all station in 87 parishes and wards of Rukungiri District. Displaying voter’s register will also give voters chance to transfer to polling stations of their choice. Hajjat Lubega revealed that the nomination exercise for the candidates will be conducted on two days, from May 2 to 3 at Rukungiri district headquarters. Successful candidates will conduct campaigns for 26 days from May 4 to 29. Lubega warned candidates and political parties to desist from any forms of fundraising events during the campaigns. FDC’s Kizza Besigye this week accused President Museveni of openly bribing voters in Rukungiri ahead of the by-elections. In a statement he released on Monday evening, Dr. Besigye punched poles, in Museveni’s reason of poverty alleviation, arguing that Rukungiri was fairly rich and didn’t need the donations. “According to UNDP Human Development Report of 2008, the poorest 10 Districts in Uganda were: Kaabong, Abim, Kotido, Moroto, Nakapiripirit, Yumbe, Kalangala, Kaberamaido, Kisoro, and Rakai” Besigye noted. 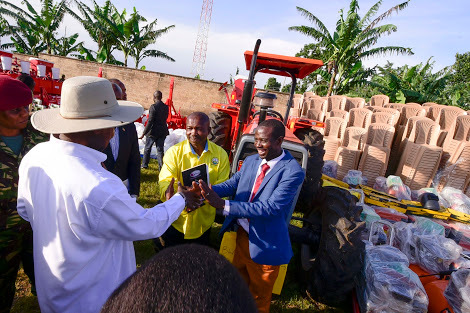 While meeting the local residents last weekend in Rukungiri district, the President told them that the money he used to buy goods and donated to groups was from his pocket. He also said there is a lot of money in government but Ugandans don’t know how to get it. “The young ones have been caught up in FDC which is deceiving them,” the President added. The President however said he rushed to deliver his donations so that he doesn’t get caught up with the electoral laws. The electoral laws bar candidates and their supporters from giving out donations during campaigns. In 2011 and 2016, NRM, the ruling party performed poorly in Rukungiri district, turning it into an opposition base area. The district sent more FDC legislators in 2016 and it is understood that Museveni, as chairman of the ruling NRM, is determined not to lose the district Woman MP’s seat to FDC.